G. Wayne Thomas was born in Auckland, New Zealand, and spent his early years from a very young age boarding at Timaru Boys High in the South Island. Due to his mother’s poor health, the family later moved to Christchurch, where he attended Cashmere High. Here he joined the school band and played First 15 rugby, subsequently being selected to play for Canterbury in several divisions up to under 19s, and for the schoolboy side that toured Fiji. His first job was as a Production Assistant with CHTV 3, and he later moved to Australia on a scholarship to study Theatre Production at the National Institute of Dramatic Art (NIDA). During this time he worked as Stage Manager for Frank Strain’s Theatre Restaurants at night, before taking a full time position with the then Elizabethan Theatre Trust Company, now Opera Australia. Subsequently he accepted a position at Channel 7 in Sydney, as Stage Manager of a new TV series starring Tony Hancock, the British Comedian. Before production commenced, however, Mr. Hancock took his own life, leaving G. Wayne and many of the crew at a loose end. Following this, a chance a meeting with Bryce Courtney, Creative Director of advertising agency, J. Walter Thompson at the time, resulted in a position as Film Cameraman with that company, and although he was totally unqualified for this role, he managed to pull it off. Also by chance at the agency Llewellyn Thomas, the eldest son of Dylan Thomas required a music jingle in a hurry, so Wayne and Lew wrote and recorded the jingle in a couple of hours. Fortunately the client loved the jingle, so Lew’s job was safe, but he wanted G. Wayne to sing it! This came as a bit of a shock to both of them, but it marked the beginning of his musical career. He then quickly teamed up with Patrick Flynn, Musical Director of the hit musical Hair, and later Jesus Christ Superstar, and previous Conductor of the New York Ballet Company. Together and separately they produced a considerable number of award winning commercial jingles and soundtracks for clients such as Rheem, Coca Cola (Teardrop series), Streets Ice-cream (Sounds of Summer), Eveready, CC’s (You Can’t Say No), Fosters Beer, Toyota and Ford, to name a few. After Patrick returned to the USA, Wayne went on to win various international awards for advertising, including Clio awards in the USA, a Golden Lion in Venice, and a Mobius award. Wayne’s recording career as an artist began after being offered several writing and recording contracts. He asked a lawyer friend, Peter Steigrad, to assess them and his conclusion was that they were all rubbish. They decided to work together so that they would own the recordings and lease the finished product to a record company. The first recording session was scheduled with his backing band to include Rod Coe, an old friend of Wayne from New Zealand, who later became Slim Dusty’s Producer, Murray Grindley who became New Zealand’s most successful jingle writer and producer, and Allison McCallum who also became a successful recording artist in her own right. The first four songs recorded under the new arrangement were “Take it Easy”, “You’re Not Alone”, “You Can’t Have Sunshine Everyday” and “Hello Sunshine” which was released by Allison McCallum, the tracks were all produced by G. Wayne Thomas. By this time Peter Steigrad had negotiated a lease tape deal with then Warner Bros, who over the ensuing years went through several name changes from Warner Bros to WEA to Kinney Communications and then back to Warner Bros. The current name is Warner Music, but actually it has remained pretty much the same company throughout. Before the release of the first single, Warner Bros realized that there was a drummer by the name of Wayne Thomas, playing in a fairly successful band at the time. G. Wayne was asked to add the ‘G’ in front of his name to differentiate between the two musicians, and he was happy to oblige. His first name was actually Graham although he had never been called that. Early recordings were reasonably successful, getting good airplay. “Take it Easy” reached around No. 2 on the 2SM chart in Sydney and about 33 nationally, while Allison’s recording reached the top 10. Around this time Paul Turner, the MD of Warner Bros - a very new company to Australia - had recruited a new Record Marketing guru from England by the name of Phil Greenop. Phil had worked with just about all of the major artists and bands in the UK, whilst managing at Ardmore & Beechwood, EMI’s music publishing arm. After the success of the first two singles, Turner and Greenop asked G. Wayne to produce an album for the band Autumn, and following the success of this album, he was offered the position of Head of A&R and General Manager at Warner Bros. Early into that role two guys came into his office looking to get in touch with him to produce a soundtrack for a movie they were making, later to be called “Morning of the Earth”. A meeting was set up with Turner, Greenop and Steigrad, as well as Albe Falzon and David Elfick, owners of surf magazine “Tracks”. It was agreed that G. Wayne would produce and maybe write and record some songs for the soundtrack, and it would be financed by ISIS Productions, Peter Steigrad and G. Wayne’s company. The soundtrack album, should there be one, would be under a first option to release on a lease tape basis to Warner Bros.
What David Elfick and Albe Falzon failed to mention at the time was that they had previously approached the band “Taman Shud” to produce the film’s soundtrack. This band was a favorite of the Northern Peninsular surfing community and included a young guitarist called Tim Gaze, who had reached almost cult status due to his ability as a player. Together with band member Lindsay Bjerre, he had written some great songs. It should be remembered here that the general population of Australia at the time did not have a very good impression of the surfing community, regarding them as drop outs, dole bludgers and ratbags, and this opinion was fuelled by the popular press. When music production was about to begin on the soundtrack, Albe explained the idea for the movie but there was no script or story board. All they had was a series of surfing clips from various locations around Australia, and from a trip to the magical, undiscovered island of Bali. Albe liked the idea that there would be no dialogue and that the music should “speak” the story. G. Wayne talked to a number of songwriters and decided to commission Terry Hannagan, Brian Cadd and Tamun Shud, obtained under license from the producers John J. Francis and a New Zealand band Ticket . He also had to include a relatively unknown kid from the South Coast named Peter Howe, who won a Tracks magazine competition for a chance to have a song included in the soundtrack. His song “I’m Alive” became one of a number of cult classics from the album. The title of the movie was firming up as “Morning of the Earth”, which was derived from a quote by Pandit Nehru, a previous Prime Minister of India. He said that “waking up in Bali was like waking up to the morning of the world”. David and Albe adapted this to “Morning of the Earth”. The soundtrack was mostly recorded at TCS Studios in Melbourne at TCS, which at the time was one of only two studios in Australia that could provide 16 track recording. Recording was fairly chaotic due to player and band availability, and much is owed to the players who backed up the performers: Duncan McGuire, Billy Green, Mark Kennedy, Phil Manning and Broderick Smith, who sang the Tamun Shud song “First Things First” due to Tim Gaze not being well. John French did an outstanding job as Recording Engineer and Peter Jones was responsible for string and orchestral arrangements. As there was no SMPTE code or picture lock in those days, timed sequences had to be counted in bars after watching the clips, which were not formatted in any coherent sequence. Consequently Elfick asked G. Wayne to write and record one extra track in case it was needed. This lead to the recording of “Open Up Your Heart”. Albe and G. Wayne then set about editing and compiling the movie, which was done over about four days and nights, and “Open Up Your Heart” was not needed in the film after all. A master copy of the album, including the extra song, was sent to John Brennan at 2SM, and he was to select a track for airplay to promote the film. He selected the last song on the tape, “Open up your Heart”, and suggested that it should be added over the end titles. “Open Up Your Heart” was released, with “Morning of the Earth” as the B side, by Warners in 1972. It reached No. 1 in Sydney and would have made No.1 in Australia wide but for the leading DJ in Melbourne refusing to play the track due to a personal argument he had had with Thomas some months before. 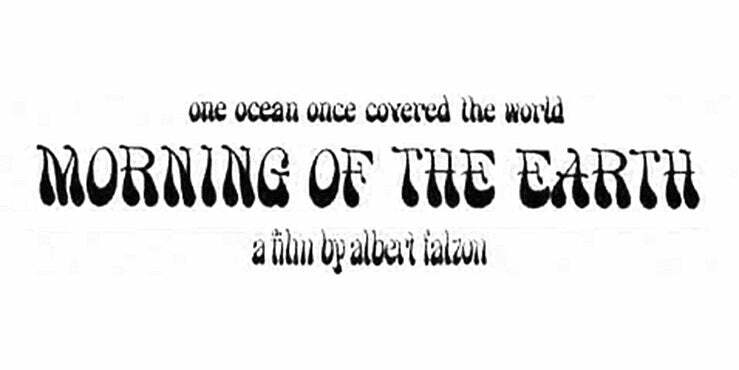 “Morning of the Earth”, the Original Soundtrack Album, was released around May 1972, containing only 12 songs. The song order was selected by Phil Greenop to best fit the vinyl format, and the album went on to become Australia’s first Gold Soundtrack album. According to Albe Toms it is the highest selling Australian film soundtrack album of all time. The following year, at Warner’s request, G. Wayne produced the album “Laid” with a band called Duck, which included members of various bands that had either disbanded or were on extended hiatus. It was essentially a studio band that included John Robinson (ex Blackfeather), Jon English (Judas in Jesus Christ Superstar), Bobbi Marchini, Teddy Toi (ex Billy Thorpe and Max Merrit and the Meteors). Their album was widely acclaimed by critics and fans alike as a great album but only achieved moderate success. At the same time he was continuously writing, producing and sometimes singing numerous television and radio commercials for Australia’s leading adverting agencies. One of these assignments required him to be overseas for an extended period of time and this eventually lead to him leaving Warner Bros.
On return to Australia he formed his own record label along with Jon English, called Warm and Genuine, the name being an antithesis of the reality of the music/recording business. He produced Jon’s first No. 1 record “Turn the Page” and became the Executive Producer of Jon’s first album “Wine Dark Sea”. These were released through Polygram, on which he also released his first solo album “G. Wayne Thomas” which included his third single “Everything in You” / “Call My Name”, as well as “Come Tomorrow Morning” and a version of Kris Kristofferson’s song “I’ve Got To Have You” made world famous shortly after by Carly Simon. Thomas formed a studio band, funnily enough, called the “The Crystal Voyager Band” whose members comprised Bobby Gibbert (keyboards), Mick Lieber (ex Python Lee Jackson, Ashton, Gardner and Dyke, guitars) Rod Coe (bass) and John Proud (drums), with Thomas on acoustic guitars and vocals. The film “Crystal Voyager” was based on the exploits of American hippie kid, knee boarder and inside the wave Film Cameraman, George Greenough, who was also the prime mover in the invention of the “fish eye” camera lens. The film also featured the band Pink Floyd in the final scenes, where Greenough strapped a camera to his head to film inside the hollow section of the wave called “the tube”. These sequences became famous and were used by Pink Floyd for a number of years in their live performances, and captured the imagination of European audiences with the film running for over a year in London’s West End as a double feature with the film Fantastic Planet. G. Wayne’s last single on Warm and Genuine was “Mercy for the Innocent” / “Junkyard” (1975) but then he released “Just to Love You”/ How Can I Tell You” on Polydor in 1976. Thomas continued to write and produce music for commercials, including “Spirit of Australia” for Qantas Airlines, the words now written on all of Qantas’ aircraft. He also adapted Gershwin’s “Rhapsody In Blue” from the “Grand Canyon Suite” for United Airlines in America, and all the music, theme and incidental for Malaysian Airlines. In the late ‘70s and early ‘80s, working with pianist and performer Peter Bailey, G. Wayne released four singles on Polydor, including “The Last Laugh” / “Its Alright” 1979, “Missing Persons”/ “Loving You” 1979, I Don’t Want To Spoil Your Party” / “Halfway Home” 1980 and “Tobacco Road” / “They Loved Their Lives Away” 1980, from the 1979 Polydor album “Missing Persons”. In the late ‘80s, with David Perryman, he produced the original Ray Henwood authored play, “No Good Boyo”, which proved to be one of the hits of the Sydney Festival under Stephen Hall, an old associate from his Opera Company days. The idea of the play is an imagination of what may have happened in the last three missing hours of Dylan Thomas’s life, and it reunited all surviving members of Dylan Thomas’s family from around the world in Sydney for the premier. G. Wayne was also co-inventor, co- international patent holder and founding director of Pinranger Australia, which introduced differential GPS distance measuring to the sport of golf in the early nineties. The system is now in use on over 10,000 golf courses worldwide and was sold to American interests in the early 2000s. He is currently involved in another innovative “real time” GPS project for specialized sport / recreational performance measurement and display. He is still undertakes some music projects: he is currently music supervisor for an upcoming film and recently composed and produced the music for six hour long television specials for the “History of the Davis Cup”. The “Morning of the Earth” album is now in it’s 42nd year on continuous release through Warner Bros, and G. Wayne only occasionally performs in shows around Australia, one of those being as recent as 2014. He has two daughters from his marriage to Dawn: the youngest, Melissa was a successful Australian actress before delivering four grandchildren, and the oldest daughter Olivia is a TV and film executive based in Los Angles.